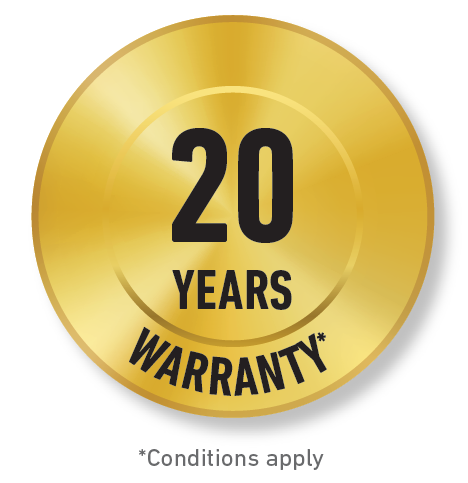 If you are installing Thermex, you can be confident you are installing quality. 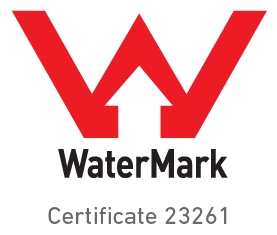 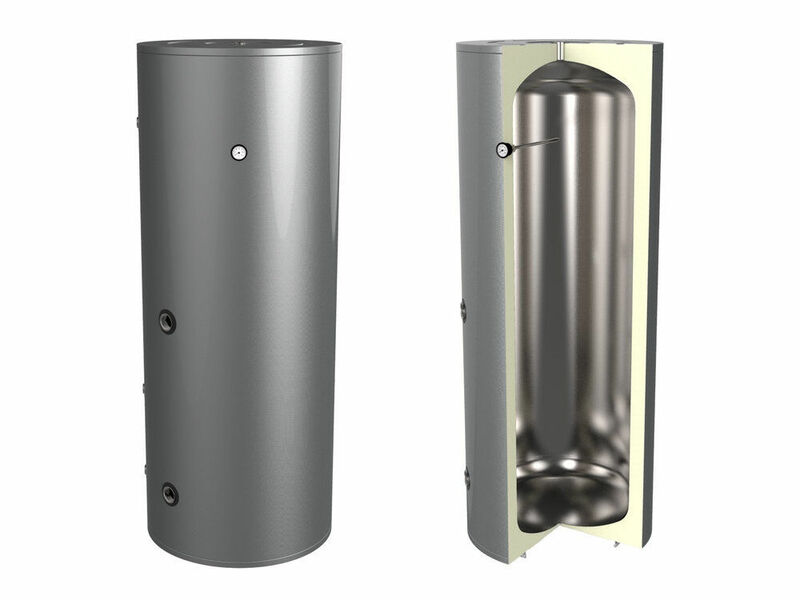 Manufactured from high specification Duplex 2205 Stainless Steel, our Thermex range is designed to resist all forms of corrosion, including crevice and stress corrosion. 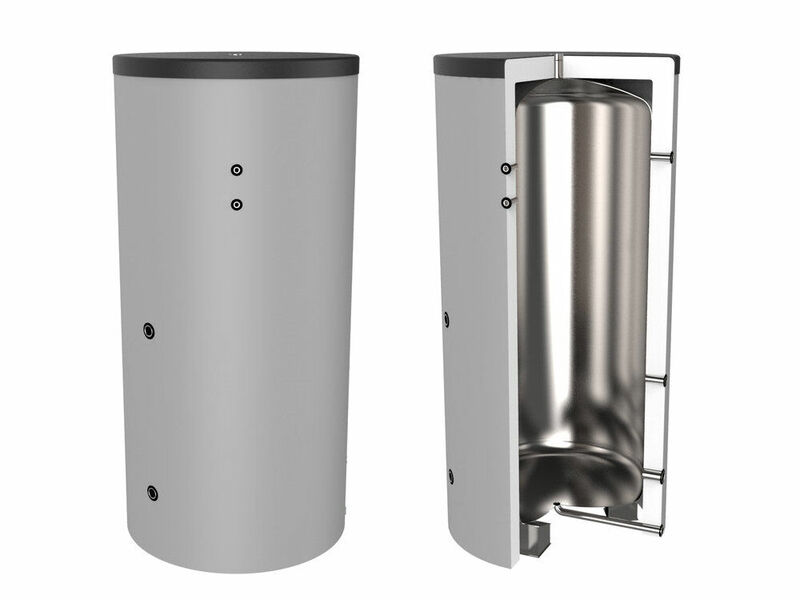 Its high mechanical strength promises durability, while automated welding procedures, post weld pickling and passivating treatment guarantee each individual weld is as strong as its parent metal. 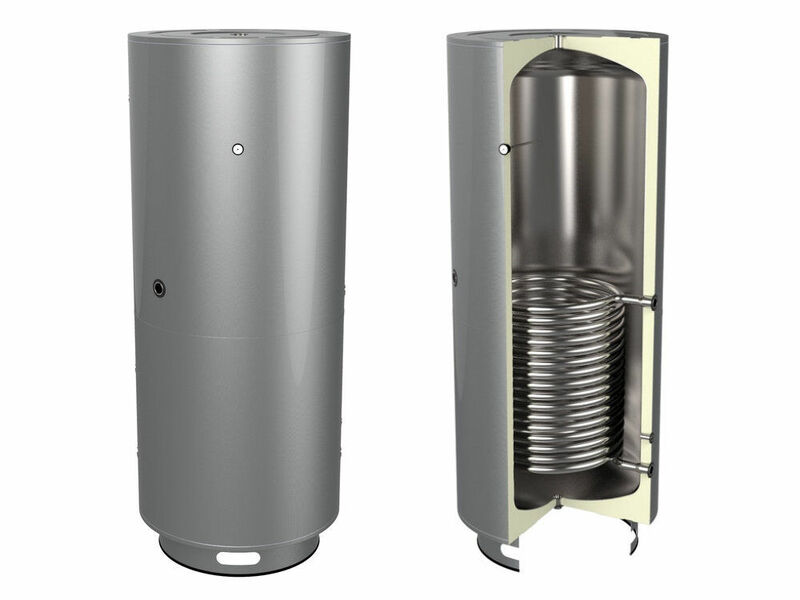 Our Thermex Stainless Steel Hot Water Tanks are pressure tested to a full 12 bar – four times their normal working pressure – and injected with 50mm of our HCFC free Polyurethane insulation to achieve astonishingly low levels of heat loss, which maximises energy efficiency for your customers. 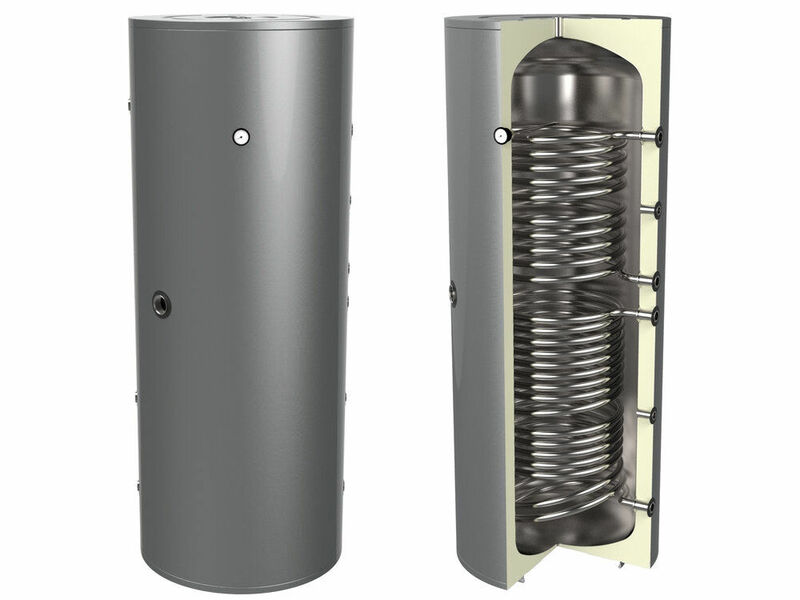 Thermex Stainless Steel Hot Water Tanks provide a reliable and cost-effective solution to the domestic hot water heating and storage requirements of commercial & domestic premises, particularly hotels and apartments. 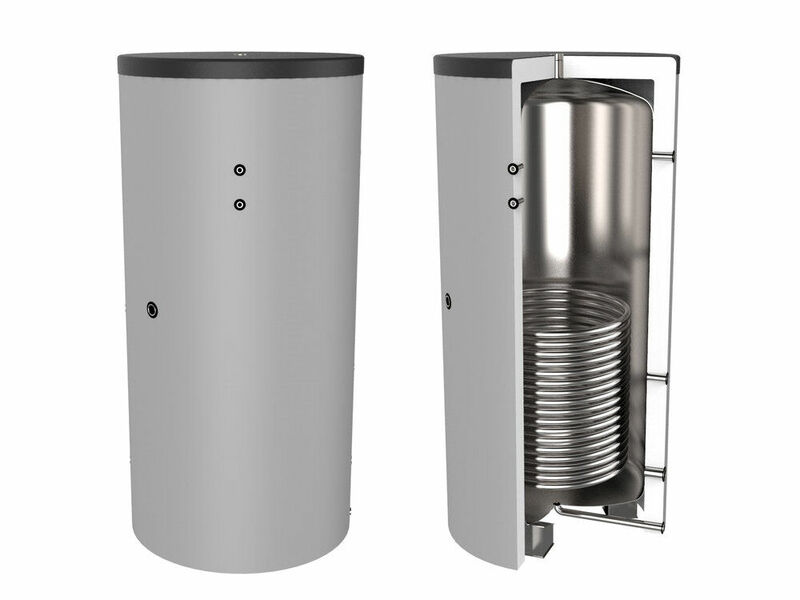 These tanks are high quality, long service life stainless steel vessels for projects that have large volume heating/ domestic hot water/solar HVAC water systems. 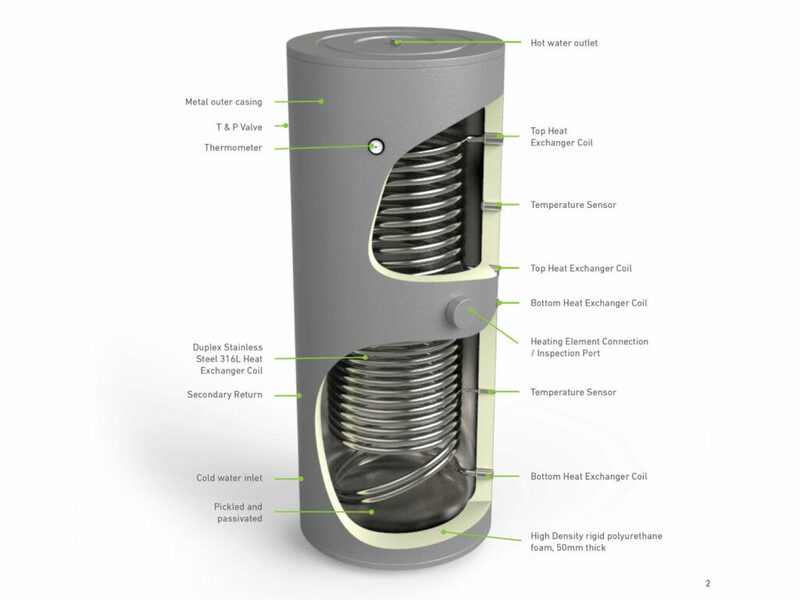 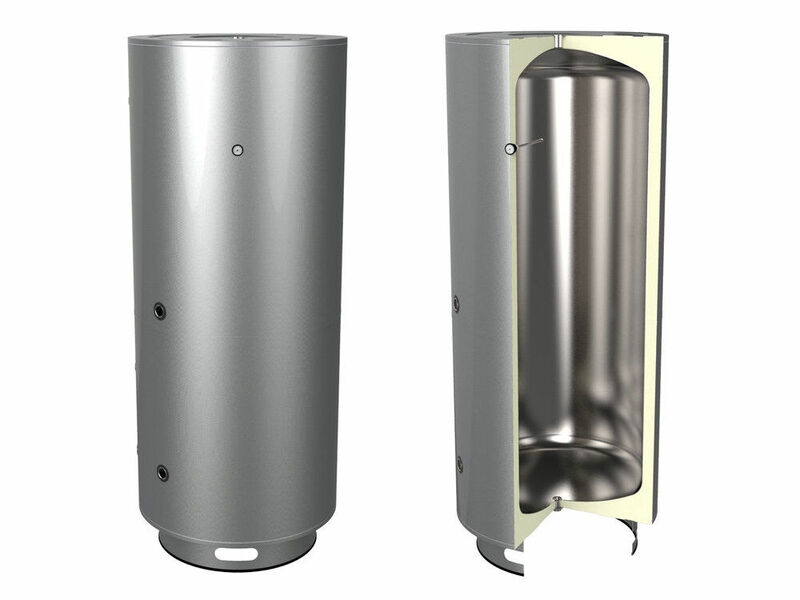 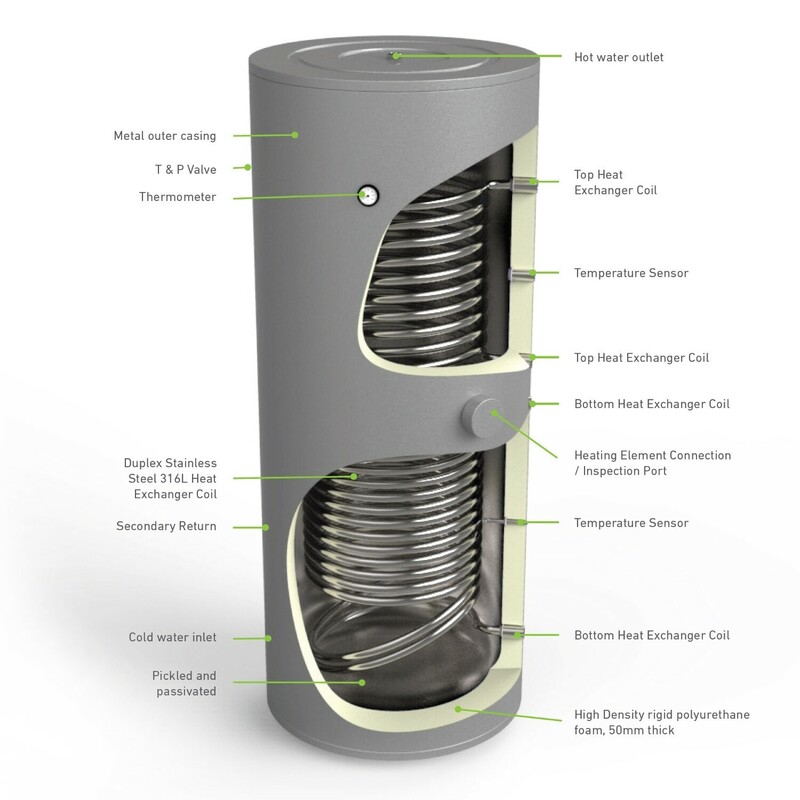 Available with single or twin coils, fully insulated and Watermark approved, Thermex Stainless Steel Hot Water Tanks provide quick recovery and are suited to high demand usage. 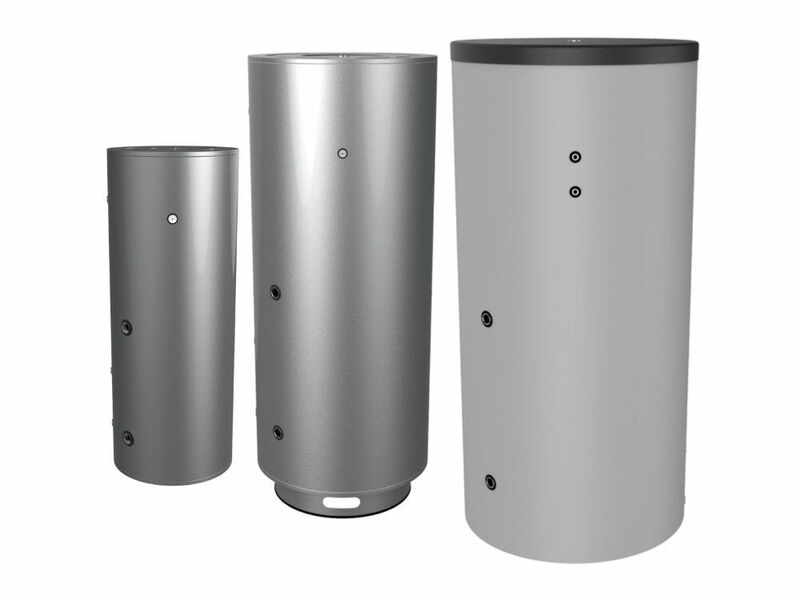 Key supply advantages include large stock holdings in a range of sizes, including compact units designed to fit through standard doorways. 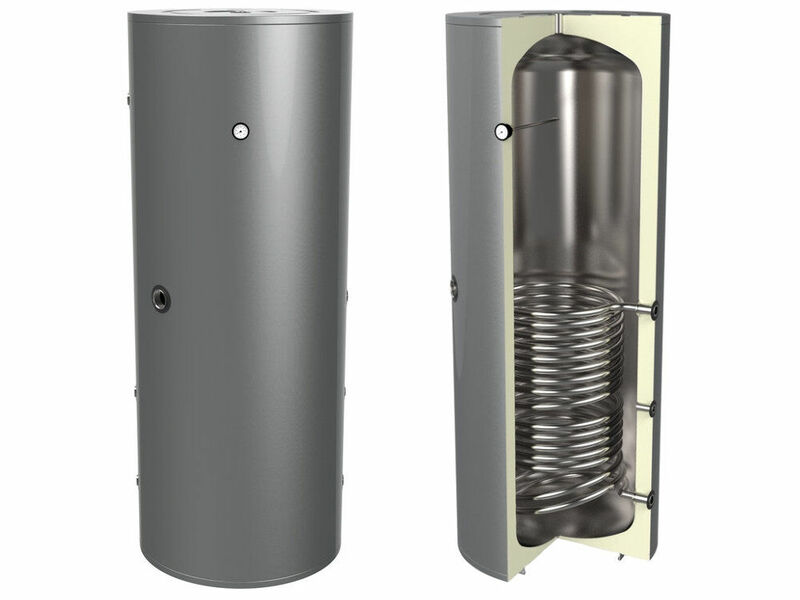 Thermex range of tanks use high recovery smooth tube coils for optimal performance. 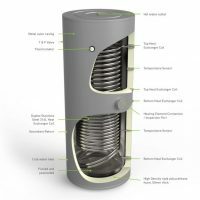 No other coil type on the market today offers the same transfer rate as smooth stainless tube. 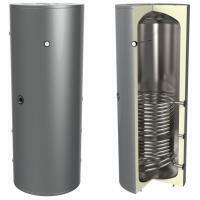 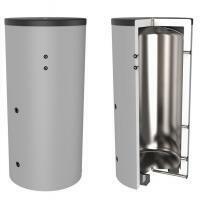 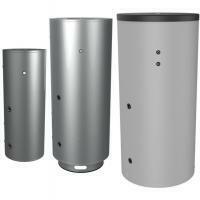 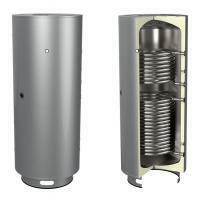 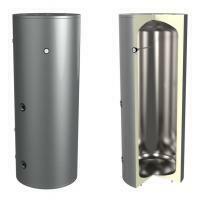 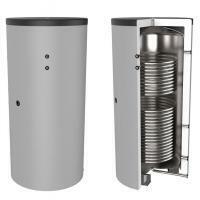 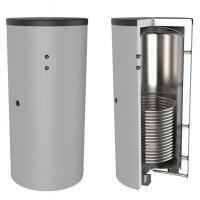 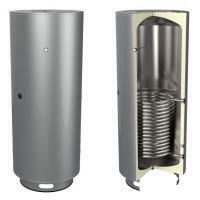 These vessels can also be used as a boiler water storage tank or a boiler buffer tank. 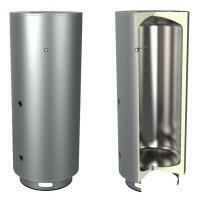 The TSSI & TSSU vessels are manufactured in standard sizes ranging from 170 litres up to 5000 litres. 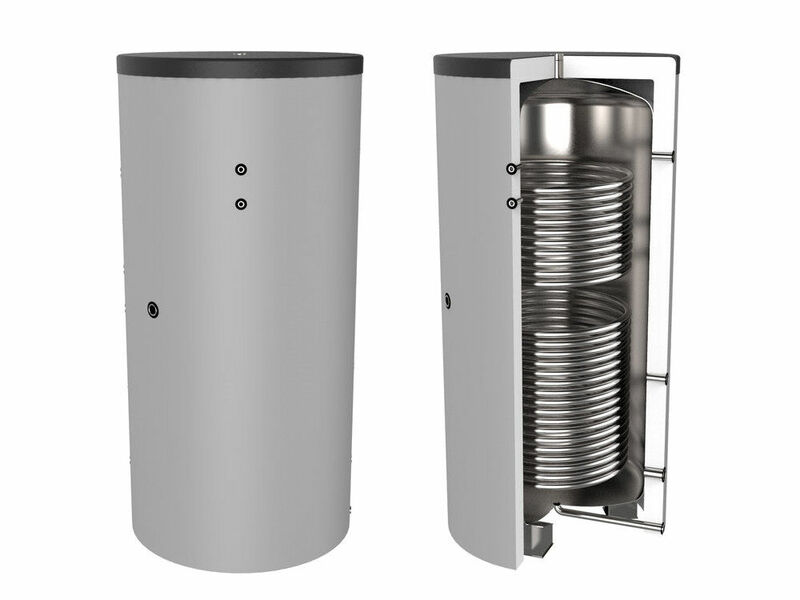 The vessels come standard with insulation up to 1000L, pipe connections, 1,2 or 3 heating coils and are rated to 700kPa and 99°C. 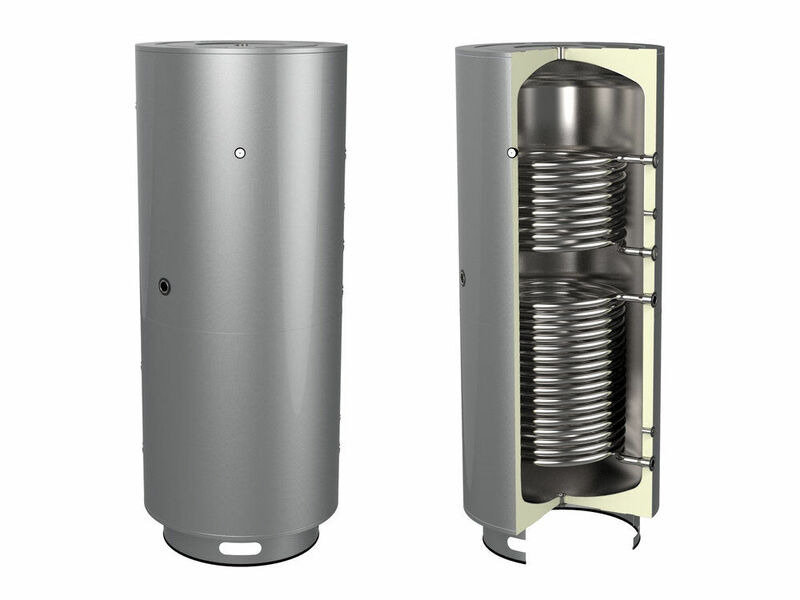 Thermex Stainless Steel Hot Water Tanks provide a reliable and cost-effective solution to the domestic hot water heating and storage requirements of commercial & domestic premises.